With weathering steel, the specific alloying elements in the steel produce a stable rust layer that adheres to the base metal. This rust 'patina' develops under conditions of alternate wetting and drying to produce a protective barrier, which impedes further access of oxygen and moisture. 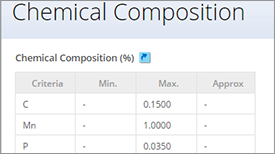 The anticorrosive properties of weather resistant steel are better than those of other structural steels in many applications. This steel is self-protecting: the rust layer on the surface becomes a tight oxide layer that slows down the progress of corrosion. 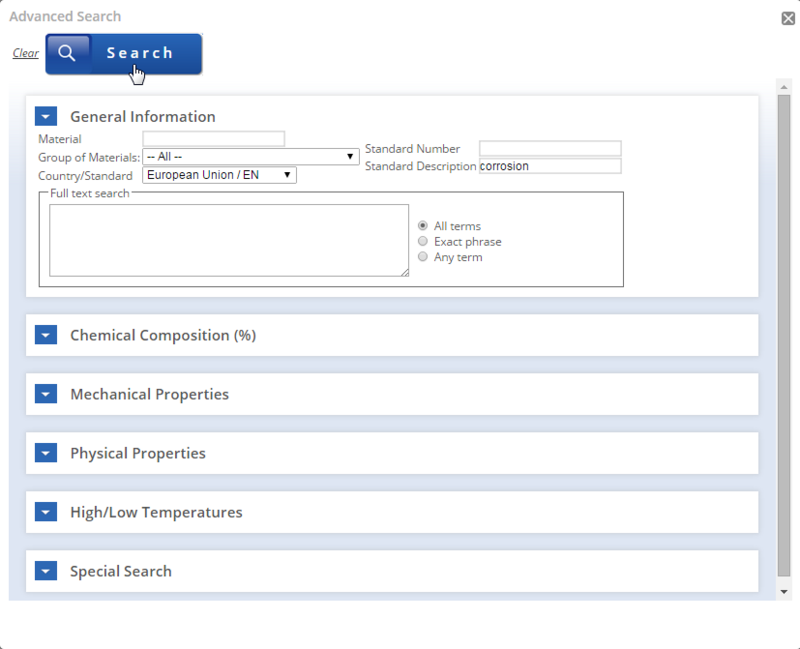 In the presence of moisture and air, all low alloy steels have a tendency to rust, the rate of which depends on the access of oxygen, moisture and atmospheric contaminants to the metal surface. As the process progresses, the rust layer forms a barrier to the ingress of oxygen, moisture and contaminants, and the rate of rusting slows down. 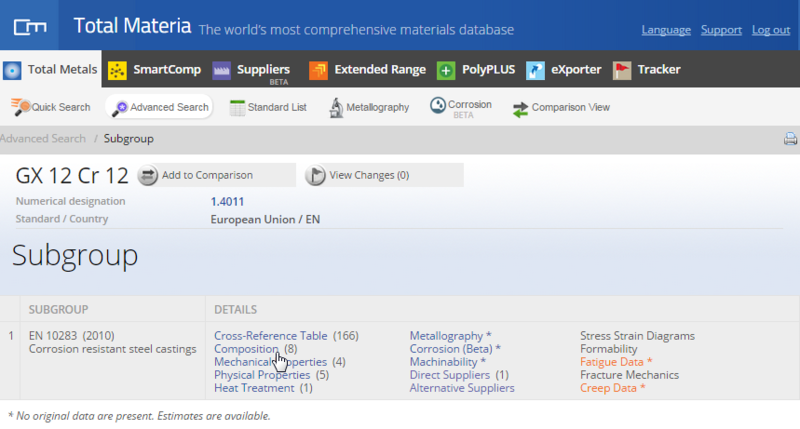 The rust layers formed on most conventional structural steels detach from the metal surface after a critical time, and the corrosion cycle commences again. Hence, the rusting rate progresses as a series of incremental curves approximating to a straight line, the slope of which depends on the aggressiveness of the environment. In 1916, American Society of Testing Materials initiated a research of the atmospheric corrosion of materials. 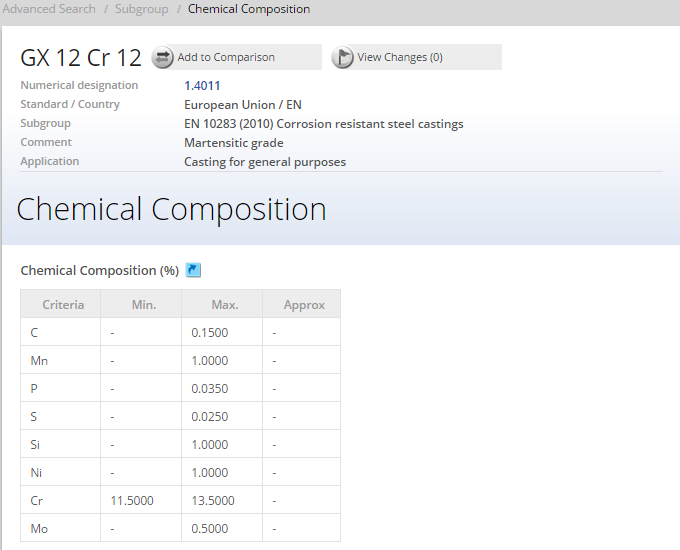 In the 1930s, U.S Steel Corporation discovered weathering steels with a good resistance to atmospheric corrosion in industrial and rural environments by adding certain amount of Cu, P and other alloying elements. But the weathering steels could not form protective rust layer and had a higher corrosion rate in the case of existence of Cl-. Many years later, Yamashita investigated the atmospheric corrosion of weathering steel containing certain amount of Cr exposed in marine atmosphere for over 20 years, and found that the native rust layer was composed of two layers, the inner layer was compacted and enriched with Cr. Literature reported that such protective rust layer has a phase constituent of alpha Cr-substituted ferric oxyhydroxide (α-(Fe1-X, CrX) OOH). 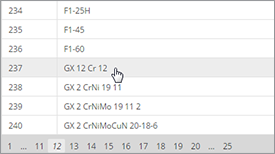 Ion selective measurements indicated that the rust layer with the phase constituent of (α-(Fe1-X, CrX) OOH) and could suppress the penetration of Cl-;, which helped to accelerate the formation of the compacted rust layer. However, in practical application most structures, such as bridges and containers, have to bear various loads. The rust layer with poor properties is easy to crack or to be peeled off from the substrate, resulting in a high corrosion rate just like before the protective rust layer formed. Therefore the protective performance and reliability of the compacted rust layer are limited by its mechanical properties, and it is meaningful to study the mechanical properties and adhesion strength of the compacted rust layer formed on the substrate steel. With weathering steel, the rusting process is initiated in the same way, but the specific alloying elements in the steel produce a stable rust layer that adheres to the base metal, and is much less porous. This rust 'patina' develops under conditions of alternate wetting and drying to produce a protective barrier, which impedes further access of oxygen and moisture. The resulting reduction in corrosion rates is clearly illustrated in Figure 1. 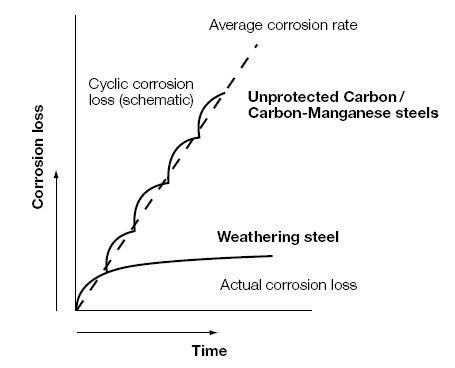 Figure 1: Schematic comparison between the corrosion loss of weathering and carbon steels. The anticorrosive properties of weather resistant steel are better than those of other structural steels in many applications. It is self-protecting: the rust layer on the surface becomes a tight oxide layer that slows down the progress of corrosion. This steel is an economical, long-lasting and fully recyclable material. Bridge engineers choose weathering steel for its performance, economical and environmental benefits. As we mentioned above, the weathering steels contain elements that allow them to form a protective coating patina or coating when properly exposed to the atmosphere. The first bridge using this material was built over the New Jersey Turnpike in 1964. The use of uncoated weathering steel typically provides initial cost savings of 10 percent or more, and life cycle cost savings of at least 30 percent over the life of the structure. 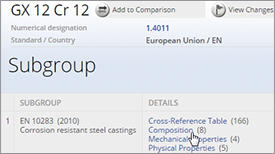 Initial cost savings are realized because weathering steels do not need to be painted. 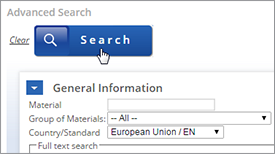 Life cycle cost savings are realized by the material’s durability. Inspections of bridges in service between 18 and 30 years show that weathering steel performs well in most environments. Weathering steels provide environmental benefits as well. They do not require initial painting, thereby reducing emissions of volatile organic compounds (VOC) when oil-based coatings are used. They do not require coating removal or disposal of contaminated blast debris over the life span of the structure, providing another significant environmental benefit. The steel is used for various types of welded, bolted and riveted constructions e.g. steel frame structures, building cladding, exhaust systems, vehicles, equipment constructions, chimneys etc. Weathering steel is popularly used in outdoor sculptures, such as in the large Chicago Picasso sculpture or Angel of the North, and as exterior facades, for its rustic antique appearance. It has been used in bridges and other large structural applications such as the New River Gorge Bridge, the newer span of the Newburgh-Beacon Bridge, and the creation of the Australian Centre for Contemporary Art (ACCA). Also, it is very widely used in marine transportation, in the construction of shipping containers. 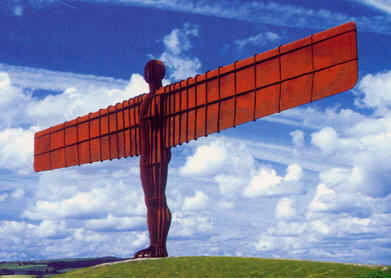 Figure 2: Angel of the North. 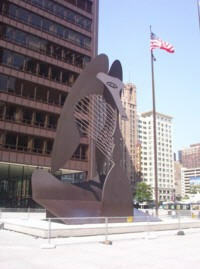 Figure 3: Chicago Picasso Sculpture. 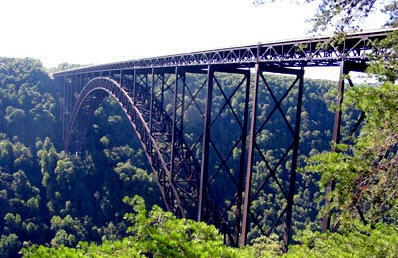 Figure 4: New River Gorge Bridge W. Va.